This sword arrived promptly in very secure packaging. The steel parts come well greased, so have a rag on hand! The sword itself was of incredible quality. The blade was sharp and set firmly into the hilt. If one is used to two-handed swords, or smaller patterns of sabers, the heft of the thing can be a bit disheartening, but you get used to in quickly. The only issue I had was with the scabbard. It is supposed to be a wood core wrapped in leather with steel fittings, but the wood just wasn`t there. It was just a leather pouch with steel fittings. It still carried the sword, but was floppy and cheap-looking. 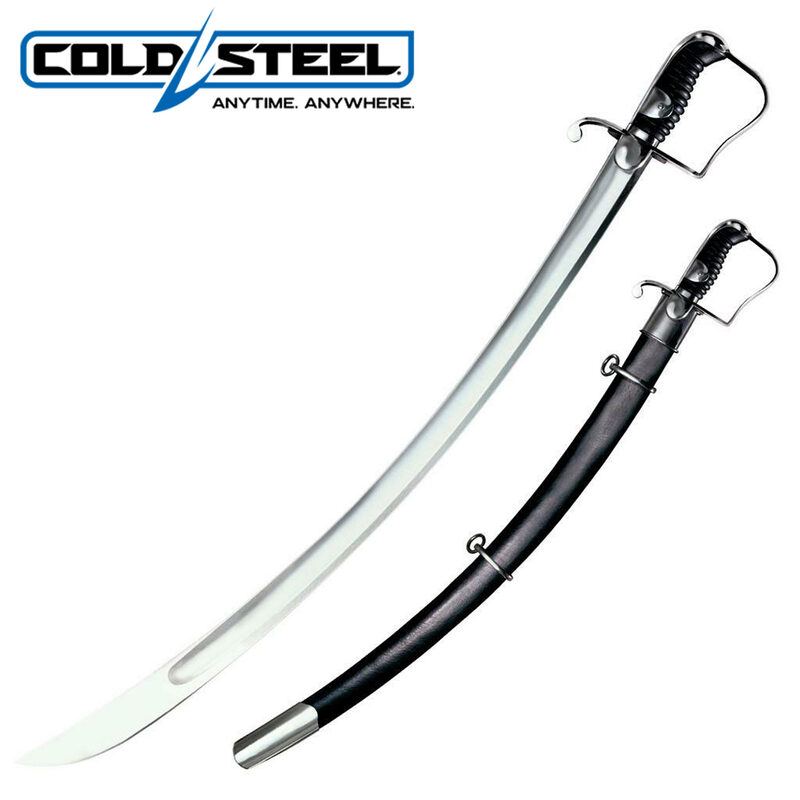 Fortunately, True Swords replaced it for me with a steel scabbard. I think True Swords has the best customer service I have ever worked with. They were truly willing to bend over backwards to make me happy, and succeeded admirably. This is a true piece. If you can actually afford this sword, and have REAL experience and the patience to maintain it, buy the damn blade! The sharpness of this saber is only matched by a Damascus katana, which are very rare and twice as expensive. The only problems I have had with this blade is the shipping oils, that were laid on VERY thick for it's protection, so it is a good thing. The swiftness of the shipping was great also, and they were sure to take great care in making, preparing, and shipping this saber. I was quite nervous, even knowing that Cold Steel is one of the absolute and most well known sword and knife companies. I had thought that something would have gone wrong with my shipment, (knowing my luck) and I would have to send my sword back in anger. However, I was happily pleased when I received my saber in the mail, and found out that it is one of the absolute best swords on the market. A five star sword! Great job! This is a beautiful sword. The pictures do not do it justice. The curvature is greater than what I expected. It feels very comfortable and well-balanced. I bought model 88SS that has the all-steel scabbard-- keep in mind that the steel scabbard will be pretty heavy if you choose to order it. My only (minor) gripes so far are that it had a couple small rust spots where the knuckle guard connects to the pommel (easily fixed), and that while the blade fits nicely into the sheath it isn't quite snug enough to keep the sword from sliding out if turned upside down. Not a big deal, but I prefer a more secure fit. The blade is very sharp, and free from any visible scratches or defects. The shipping time was excellent, and I'm very pleased with my purchase; I look forward to testing it out on some cutting targets soon.